Heat ghee in a thick bottomed pan. 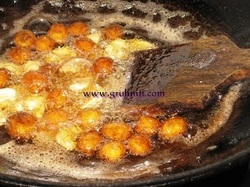 Fry cashews and raisins in a medium flame, remove into a bowl and keep aside. 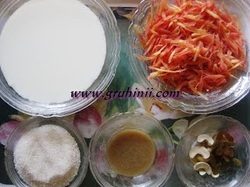 To the left over ghee, add grated carrot. 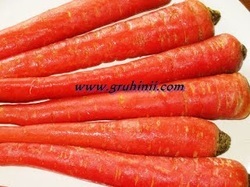 Fry for 4 to 5 mins. and add milk. 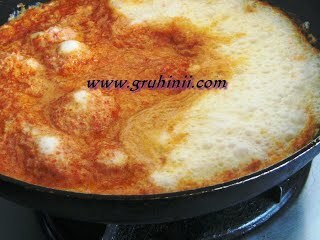 When the milk starts boiling simmer the flame and cook for 15 to 20 mins. until the milk is totally absorbed. Stir occasionally. 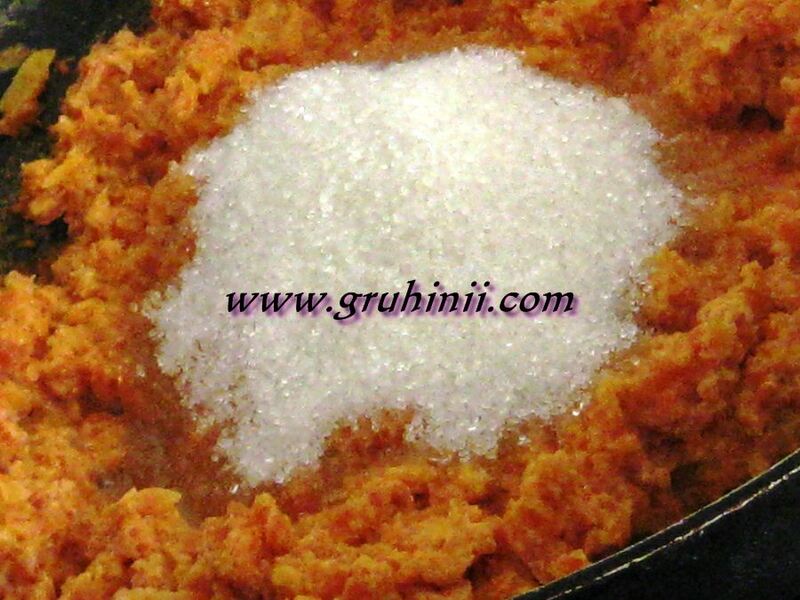 Now add sugar. Sugar starts melting. 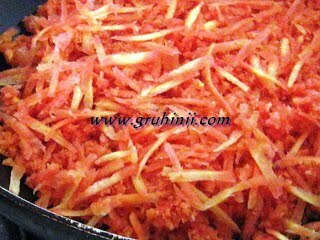 Stir in between and cook until the ghee starts leaving the bottom of the pan. Add cardamom powder and mix well. 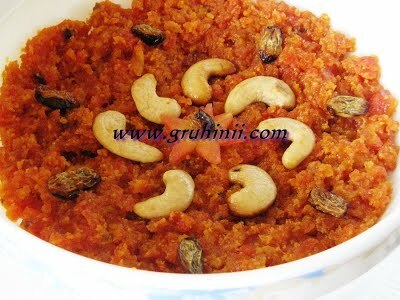 Take the halwa into a bowl and garnish with fried cashews and raisins.